Gianfranco Sanguinetti, founding member of the Italian Section of the Situationist International, writing in his 1978 work 'On Terrorism and the State' (and the later 'Preface to the French Edition', both included here) gave clear voice to the ideological position of the situationists in relation to the armed struggle groups that rose up in Europe in the early 1970's, and who continued to occupy swathes of the extra parliamentary left's political landscape into the early 80's. This collection brings together a spread of writers, revolutionaries and reprobates to offer up a variety of critical perspectives on some of the key groupings involved in those armed struggles. 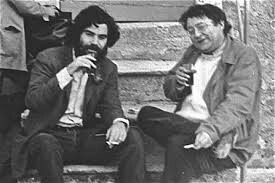 Dave and Stuart Wise, key figures in King Mob, look deeply into the relationship between the Italian Communist Party, workers struggles post 68' and the roots of the Red Brigades, and succinctly conclude of the latter: "they added to the substitutionism of Lenin, who replaced the proletariat by the Party, by replacing the Party with the armed struggle." 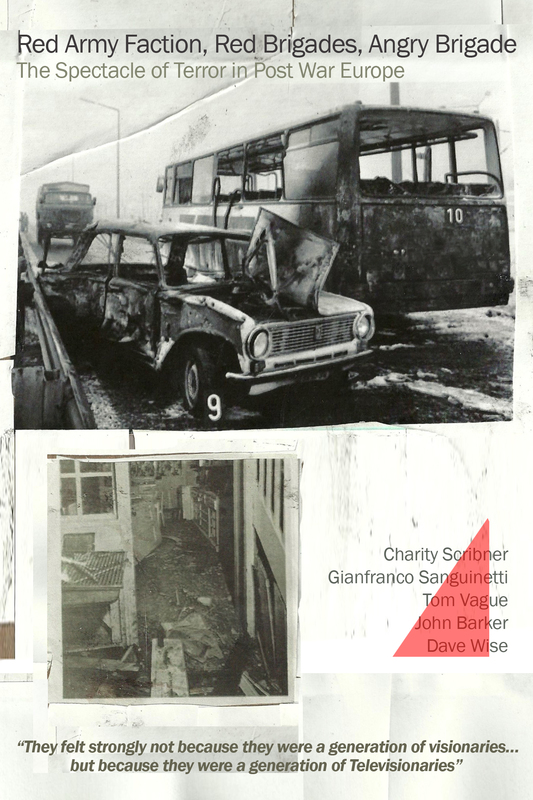 Charity Scribner, MIT Professor, contributes "Buildings on Fire: The Situationist International and the Red Army Faction", exploring how and why the SI and the RAF's differing definitions of autonomy produced divergent modes of resistance, stating early on: "Both the RAF and the Situationists drew from the arsenals of anarchism and Marxism. But whereas Debord critiqued the society of the spectacle - the condition in which capital accumulates and becomes image - the leaders of the RAF became fodder for the media machine, leaving a legacy heavy on style, but light on political analysis." Tom Vague's fast paced and potted histories of the RAF (Televisionaries) and Angry Brigade (Anarchy in the UK) both originally appeared in his later (mid 90's) Vague Fanzine, and then as standalone books. Both accounts are strong on pop-situ timeline energy, but not over dependent on detail and analysis, and are useful entry level introductions to the respective narratives. John Barker was sentenced to ten years at the Old Bailey in 1972 for his activities in the Angry Brigade ("they framed a guilty man"- he served seven), and here he laments what he sees as Vague's ' "fetishisation of the Angry Brigade" and "how comfortable he is with what we could call 'the situationist angle' while saying nothing about the analysis and theory that came out of the Italian movement from Potere Operaio onwards, which was more important to us." Barker's piece, dated from the late 1990's, goes on to give a brief, but uniquely frank first person perspective on the AB's activities, viewed through the prism of realism, maturity, and continued belief in the revolutionary potential of mass working class action over the clandestine, substitutionist activities of the few - a fitting end to this book.